Vise Body: 6" x 17.5" machined from a solid bar of Dura-Bar® ductile cast iron, flame hardened to HRC50+, black oxided, and precision surface ground on four sides. Four (4) edge clamps are included for securing to your table. Vises are Ball-Coupler™ ready for zero-point mounting. 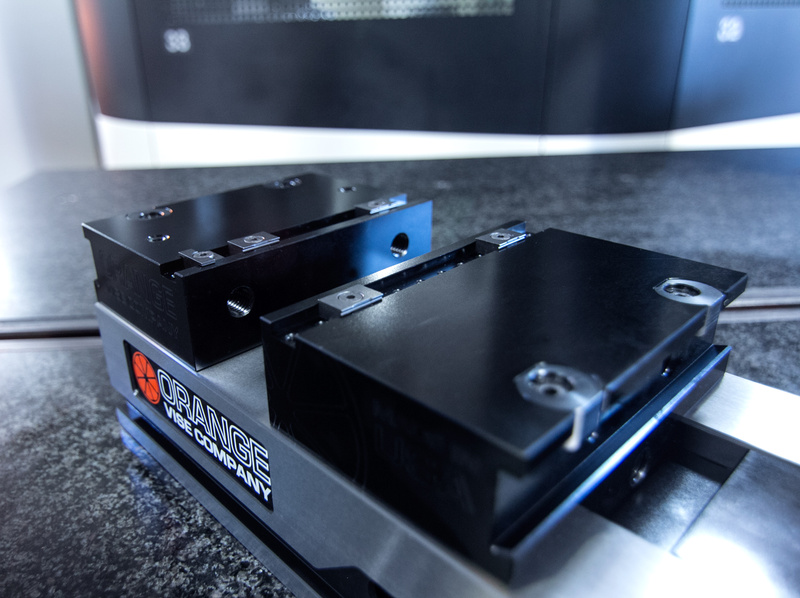 Modular Carrier Slides: 4th-generation carrier slide blocks are machined from aluminum and type III hard anodized. A 115ksi high strength steel leadscrew is fully sealed from chip contamination with rubber O-rings. Reversible Master Jaws: 4th generation reversible master jaws are machined from Dura-Bar® Cast Iron and black oxide treated. One side is compatible with bolt-on jaws and indexable grippers (M5 threaded holes). The other side features a quick-change dovetailed jaw interface. 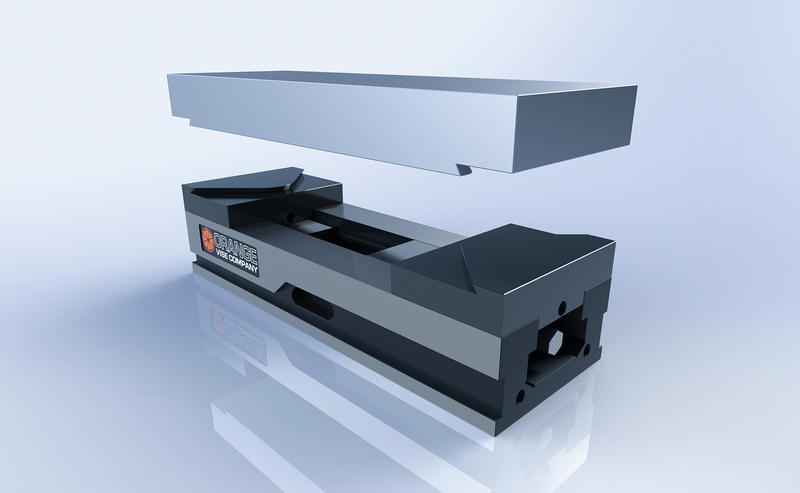 Our dovetail interface is fully compatible with CarveSmart™ dovetailed jaws. A pair of 6061 aluminum dovetailed jaws are included. Please note that these are soft jaws. For maximum accuracy and gripping force, these jaws should be machined prior to use. Order extruded lengths of dovetailed jaw stock, dovetailed hard jaws, and more from www.carvesmart.com. Please note: unlike our other single station vises, this vise cannot convert to dual-station operation. Capacity with 1" thick aluminum machinable jaw plates: 0" to 7.5"
Capacity with jaw plates removed: 0" to 9.5"
Max Opening with Serrated Inserts: 1" to 10"
Compatibility with Talon Grip serrated inserts from Mitee Bite come standard with this vise. Clamping capacity in this configuration ranges from 1" to 10". Please note: this vise is NOT compatible with our current pallet system. It is designed to work with our new next-generation pallet system. Speed, precision, or low cost. Pick any three. Swap out pallets in seconds with tenths repeatability. Alignment is virtually effortless. Available now.